Doris Buffett and a team of volunteers read pleas for aid and determine whether the writer is worthy. For anyone who has ever wondered what it would be like to give away millions of dollars to people in need, here’s your chance to help Warren Buffett and his sister do just that. One consequence of being extremely wealthy is that strangers ask you for money — not just donation requests from countless charities, but pleas for financial help from individuals all over the world. 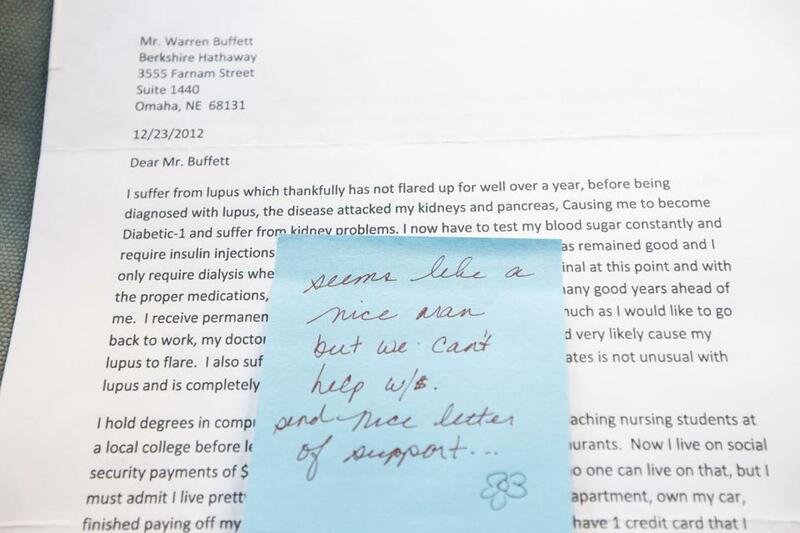 Each year, Buffett, the billionaire investor, receives thousands of letters from people asking whether he would pay their mortgages, medical bills, credit card debt, and more. Through a unique sibling partnership, Buffett forwards the letters to his older sister, Doris, who decides which ones to fund. Over the past decade, at least 22,000 letters have crossed their collective desks, and they have given away more than $12 million. 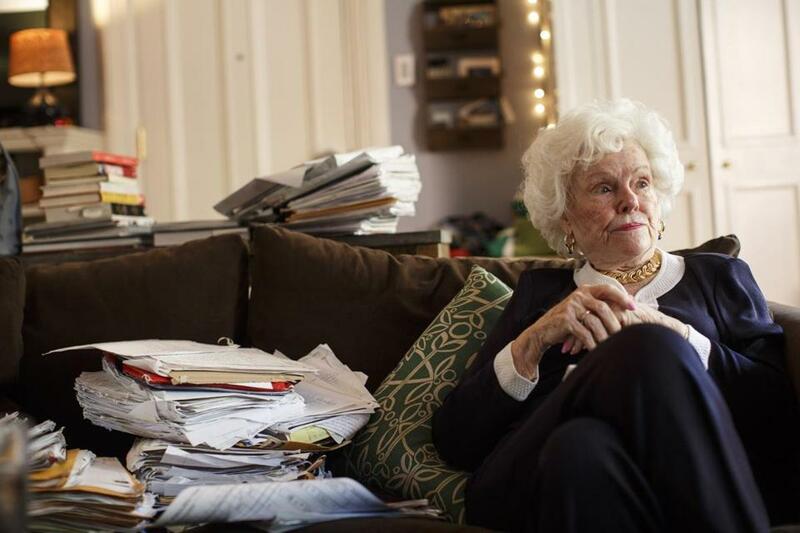 And now, in what might be Boston’s most unusual volunteer opportunity, Doris Buffett — who moved to the city last fall — is looking for people in Greater Boston to help her read a backlog of those letters, as well as new batches that continually arrive. Read excerpts from Boston Globe reporter Sacha Pfeiffer’s July 29, 2016, interview with Berkshire Hathaway CEO Warren Buffett. 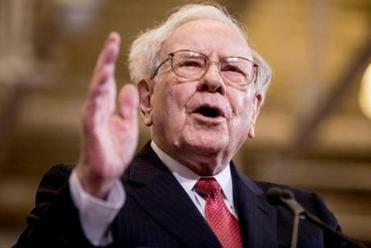 Warren Buffett, the chief executive of Berkshire Hathaway Inc., has an estimated net worth of $66 billion, ranking fourth on Forbes magazine’s list of the richest people in the world. In recent years, Doris Buffett has had about a dozen volunteers helping her review letters in Fredericksburg, Va., where she previously lived, and Rockport, Maine, where she has a summer home. But that group has dwindled, so she wants to replenish its ranks with people from the Boston area. That proximity is important because Buffett wants volunteers who can meet with her regularly — she lives in the Back Bay — to discuss which funding requests are reasonable. Her goal is to provide what she calls “life-changing” grants to people who, for reasons beyond their control, have fallen on hard financial times. A check from Doris Buffett is not akin to hitting the lottery; her gifts average about $4,800, although her largest to an individual was nearly $100,000. The intent is to stabilize people struggling with money woes. A letter written to Berkshire Hathaway CEO Warren Buffett asking for help. Doris Buffett, who has been married four times and has three children, has paid for used cars, dentures, winter boots, tooth extractions, hearing aids, children’s clothing, furnaces, funerals, and tombstones. The money does not go directly to individuals; instead, Buffett and her volunteers buy the requested items and have them delivered, or send payments to mortgage companies, utilities, and other creditors. “You are thrilled when you can answer somebody’s prayers,” said Buffett, who moved to Boston in October to be closer to her doctors; she is being treated for several medical issues. The volume of incoming letters, many of which arrive handwritten on loose-leaf paper, fluctuates. It surges whenever Warren or Doris Buffett makes a media appearance, as well as after natural disasters and economic downturns, like the mortgage collapse. The Buffetts estimate they make at least 250 gifts each year totaling about $1.2 million, although some years the annual total has exceeded $2 million. The money is funneled through Doris Buffett’s Sunshine Lady Foundation, which she created with an inheritance in 1996 and which also receives funding requests from strangers. Warren Buffett transfers Berkshire Hathaway stock — now worth more than $221,000 for each class A share — to replenish the fund when it gets low. Writing checks from someone else’s checkbook might sound like a fantasy job, but it’s rigorous work on Doris Buffett’s watch. Volunteers do background checks on letter writers, including research on their income, assets, and debts. They contact references, which grant applicants are required to supply. Sometimes, rather than provide money, the volunteers teach letter writers how to budget and connect them to government services or nonprofit groups that can lend assistance. They must also be on the alert for scam artists, such as people who write numerous letters from the same address using different names. And they have to learn to gently say no. Seated in the living room at the home of her grandson, Alex Buffett Rozek — who also lives in the Back Bay and manages a Boston private investment firm called Boulderado Group — Doris Buffett listed the key traits of ideal letter readers. Life experience is also important, she said, because wisdom and perspective often come with age. For that reason, she usually chooses older volunteers, but Buffett said she would not rule out younger applicants because some young people are wise beyond their years. Another requirement: In keeping with the homespun spirit of Buffett’s operation, applicants must apply by letter, not electronically. Buffett Rozek has set up a website (www.letters.foundation) where aspiring volunteers can learn how to apply. Warren and Doris Buffett’s team philanthropy began in 2006, when he publicly announced he would give away the bulk of his wealth while he was alive, including more than $30 billion to the Bill & Melinda Gates Foundation. Buffett was immediately deluged with pleas from people whose reaction was: Warren Buffett is giving away money? I’m going to ask him for some! The floodgates opened wider in 2010, when Warren Buffett and the Gateses — the world’s richest couple — created the Giving Pledge, which asks billionaires to pledge at least half their fortunes to charity. Warren Buffett said he is more inclined to large-scale philanthropy targeted at huge societal problems such as global health. “I like to give away money wholesale and she likes to give away money retail,” he said of his sister. “I mean, she is genuinely interested in a guy who’s had his pickup truck stolen or whatever it may be. Through no fault of their own, they’ve been handed a bum deal in their life. And I empathize with those people, but I’m not going to spend my days working with them. Doris Buffett has firm standards for whom she will and won’t help, and she trains her volunteers to maintain those rules. She won’t give money, for example, to people who smoke, gamble, or accumulate debt through frivolous spending. “We’d be wasting our money, and we don’t do that,” she said. “We’re investing in you; that’s the way we feel about it,” and she doesn’t consider such people good investments. Buffett sometimes phones individuals herself to let them know she plans to give them money, and she is not hesitant to lecture those she believes have wayward lifestyles. That could mean advising them to lose weight or get credit counseling. “I’ve even offered vasectomies, and some men take me up on it,” she said. “If you’re going to have a baby every single year” without a way to care for them, that’s not responsible parenting, Buffett said. “When you’re 88, you have no filter,” her grandson added with a laugh. High-profile corporate executives and the super-rich often receive financial pleas from strangers, although they are more likely to donate to charities than to private citizens, said Virginia Esposito, president of the National Center for Family Philanthropy in Washington, D.C.
“A Hewlett, a Packard, a Rockefeller — you’re going to find that they get those [requests] quite a bit. So do local business people well-known in a community or a region,” she said. 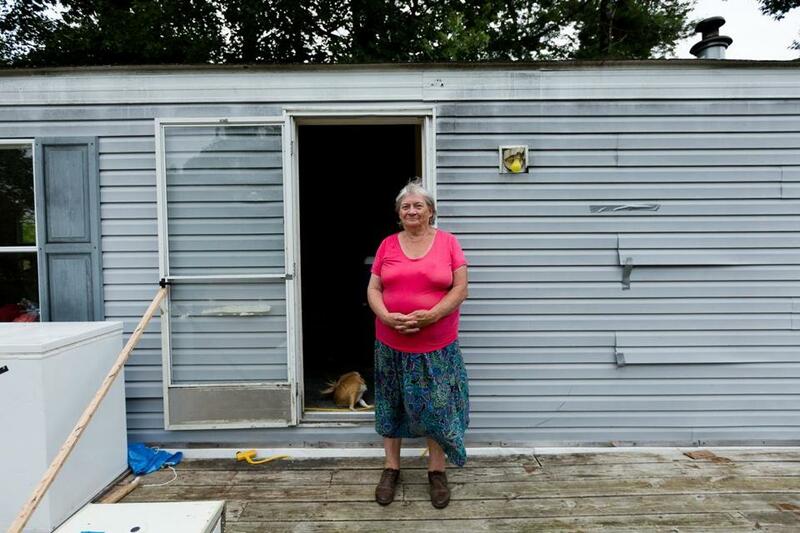 One person who benefited from their generosity is 76-year-old Mabel Willey of Searsmont, Maine, who asked for a new mobile home in 2010. After reviewing Willey’s letter, Doris Buffett bought her a used trailer for $28,125, as well as $2,225 in furnishings from Walmart, but only after thoroughly vetting the request. Mabel Willey was photographed outside of her trailer home in Searsmont, Maine. “They were wonderful people to do this for me,” she said. Another beneficiary of Buffett largesse is 47-year-old Michelle Sanchez of Santa Rosa, Calif., who has been in a wheelchair since 1987 because of a degenerative disease. She wanted a manual wheelchair to keep her arm muscles strong, but Medicaid would only pay for a motorized one. So Sanchez wrote to the Buffetts and received $5,561 for a manual wheelchair, as well as a second gift of $462.50 for wheelchair side guards.